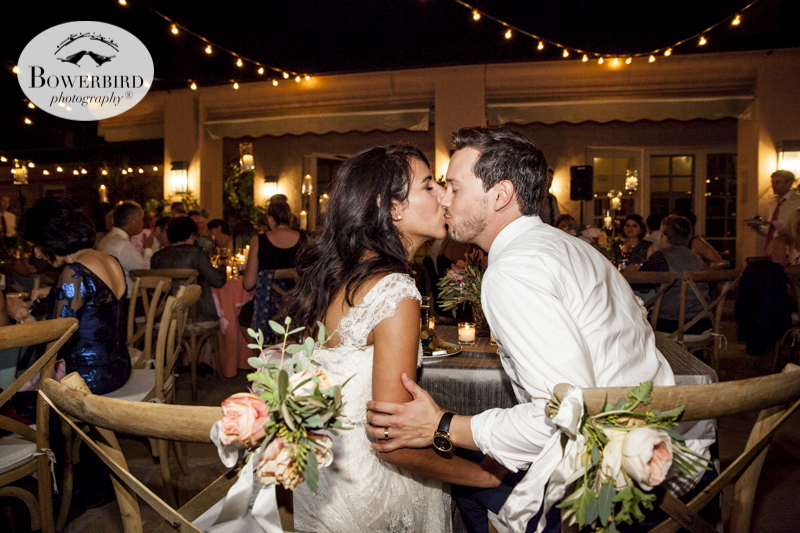 After their wedding ceremony, Lauren + Trevor walked together to a private shaded spot on the Villa Verano estate to spend some time together. Of all the weddings we have photographed over the years, one thing that stood out was how present these two were. Often during the ceremony they would hold each others' hands, close their eyes, and just soak it all in. They are present for each other with all their mind, heart, and soul. We took a photograph of them sharing one such moment together just after their ceremony, near a contemplative labyrinth on the grounds of the Santa Barbara estate, and it just seemed like such a symbolic image of their mindful, gratitude-filled, constant love. Next, they headed to their cocktail hour, or as Trevor called it, "the best hour!" It had everything: a pool, the sun, amazing drinks and hors d'oeuvres, a live jazz band, and wonderful vistas. 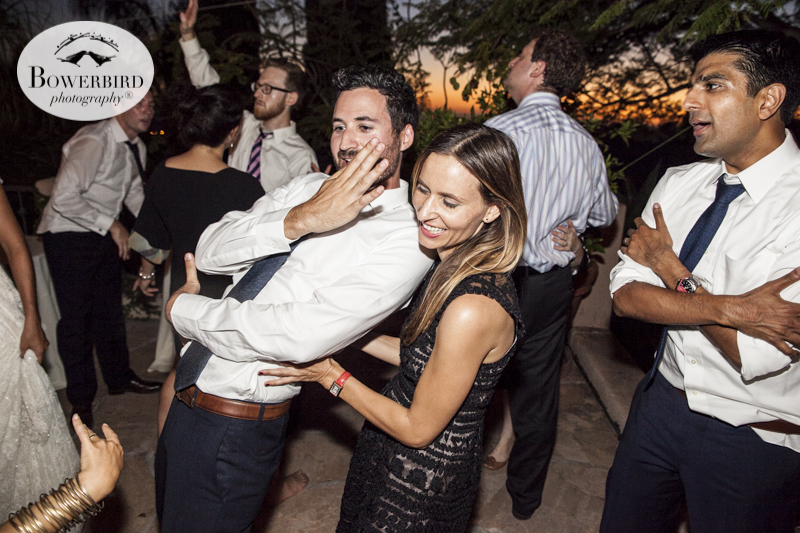 Right before sunset, guests headed up to the estate's top deck, for dancing, toasts and dinner. Lauren + Trevor, we hope these photos always remind you of your spectacular wedding day. It was an honor to be able to watch you start your life together as a married duo. Mazel tov, congratulations, and best wishes sweet love birds!